The 2019 Summer Apprentice Program is now open for enrollment! Historic Richmond Town’s rich array of apprenticeships build real-world skills based upon centuries of American ingenuity. 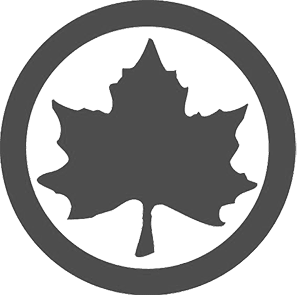 The program is a wonderful alternative to the tried and true summer camp. Individualized sessions in the Historic Trades are conducted in small groups of less than five and accelerate learning as students work with an experienced Artisan to build their skills forging iron, weaving baskets, carving wood, crafting tin, and cooking over an open fire as they create one-of-a-kind, hand crafted items. The historic settings are fully furnished for an immersive and hands-on practice. Apprentices will visit the other trades during their week to add to the fun and the 360-degree learning. At the end of each session, apprentices will have the ability to present their trade and lead a specialized tour of their workshop to visitors and their families. The Curators at Historic Richmond Town’s Main Village site have put together a rotating exhibit dedicated to the sumptuous blooms of Spring! This two-case exhibit is being showcased on the second floor of the Historical Museum and will be open to the public during museum hours through May. It features a colorful selections of artifacts and printed materials that showcase floral images and designs as a way to welcome Spring. The Interior of the Historic Third County Courthouse Gets a Fresh New Look Just in Time for Spring! The Maintenance and Restoration Departments at Historic Richmond Town’s Main Village site work to restore the interior of the Historic Third County Courthouse. Members of the Education Department at Historic Richmond Town hosted a Victorian Valentine Workshop where families hand crafted paper Valentines with colorful graphics, copied from original examples in Historic Richmond Town’s curatorial collections for the residences of Silver Lake Specialized Care Center. The Voorlezer’s House at Historic Richmond Town in New York City has long been believed to be one of the oldest school houses in the country, tracing its roots back to the 1690s. Recent investigations have revealed that there is still much to learn about this important symbol of early American education and the Dutch community in Staten Island in the 17th and 18th centuries. Historic Richmond Town’s Guyon Tavern, located along Richmond Road, has been a cornerstone of the Staten Island community for nearly two hundred years. It’s home to the renowned Tavern Concert Series. In past years, performers and audience members praised the acoustics and the ambiance of the candle-lit building and the cozy wood stove. This year an automobile accident left the Guyon Tavern badly damaged. All programming, including the Tavern Concert Series, have been postponed until the necessary $60,000 is raised and repairs made. 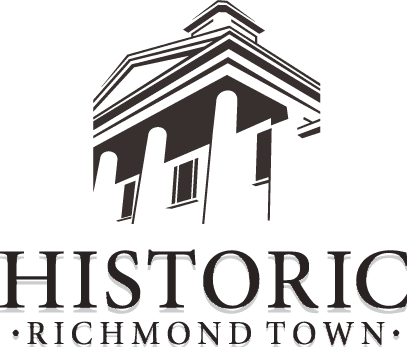 Historic Richmond Town's Candlelight Tours! Hundreds of families stepped back through time to taste, smell, and touch the holiday celebrations of centuries past. Evening tours led by candlelight showcased more than three hundred years of yuletide on Staten Island, where culture and food-ways from all over world combine to create something that is uniquely New York. Season’s Greetings from New York City’s Most Complete Historic Village! Hundreds of families enjoyed an old-fashioned holiday at yesterday’s Christmas in Richmond Town celebration! A nostalgic family favorite for decades, Christmas in Richmond Town returned just in time to ring in the season! Families experienced an old-fashioned carriage ride down historic Center Street and were immersed in the sights and sounds of winter in the country.